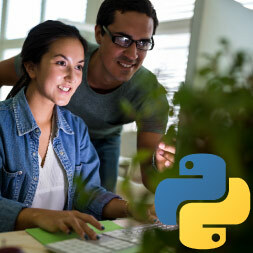 In this free online course Python Programming - Working with Lists and Files you will learn about creating and modifying lists, creating files and saving data to those files. You will also learn about reading data form files along with what csv files are and getting data from them. The course begins by introducing you to lists. You will learn about creating lists, both empty lists and lists with values in them. You will learn about how to add data to your lists, updating and deleting items on your list, and searching through your lists. Next, you will learn how to create a file with your code, and how to write data to your file. You will learn how to close the file after your code is finished using it. You will also learn what csv files are, and the process of opening and reading data from files. You will learn about importing the csv library to help with reading data from csv files, and about taking the data from your csv file and putting it in a list. Perquisites: Your will need to have completed the previous courses on programming with Python: 'Programming Concepts with Python', 'Python Programming - Working with Numbers, Dates and Time' and 'Python Programming Working with Complex Decisions and Events'.